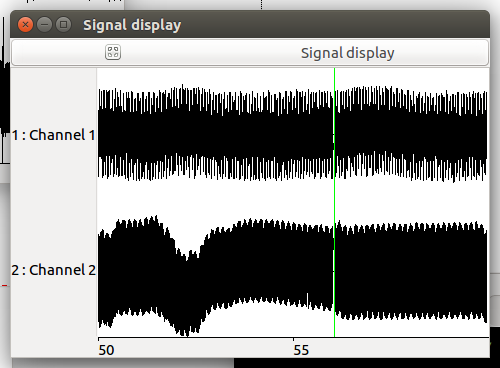 There is a number of software intended for EEG works. The EEG-SMT quick start guide suggests Electric Guru, BrainBay and OpenVibe, but it implies the use of a legacy operating system instead of Linux. OpenVibe is a software platform that enables to design, test and use Brain-Computer Interfaces (BCIs). OpenViBE can also be used as a generic realtime EEG acquisition, processing and visualization system. Under Ubuntu 16.04.03, these commands have successfully built OpenVIBE without any tuning. The result is in “dist/”. Modules are been automatically loaded: ftdi_sio, usbserial. You are not allowed to access this file because you are not in the group “dialout”. For the time being, I use a quick dirty solution, allowing access to everyone. I don’t remember if write access is also required, but grant it too. Now you can follow the quick start guide. 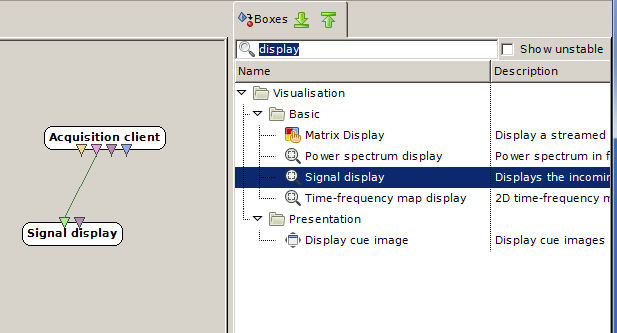 19) Select “OpenEEG Modular EEG p2” from the drop-down menu and adjust it’s properties. Especially change the COM port to the proper port the EEG-SMT got connected to (after the drivers were installed in point) and also remember to reduce the number of channels to 1 or 2! In our case, the port is “/dev/ttyUSB0“. [  INF  ] Connection succeeded ! The program complains often that “device drift is too high”. I don’t know if it is bad and hope it can be ignored. The visualisation tool is OpenVIBE designer (./openvibe-designer.sh). Consult the quick start for detailed instructions. This is a disaster with a lot of noice. And a topic for the next post. This entry was posted by olpa	on Sunday, September 10th, 2017 at 3:56 pm	and is filed under bci. You can follow any responses to this entry through the RSS 2.0 feed. You can leave a response, or trackback from your own site.